My family has been making these scones for as long as I can remember. As a young girl, I used to watch my mom make batches of these buttermilk scones without having to use a recipe. She would mix everything up by hand, then swiftly kneed and cut triangular shapes from the rolled dough. 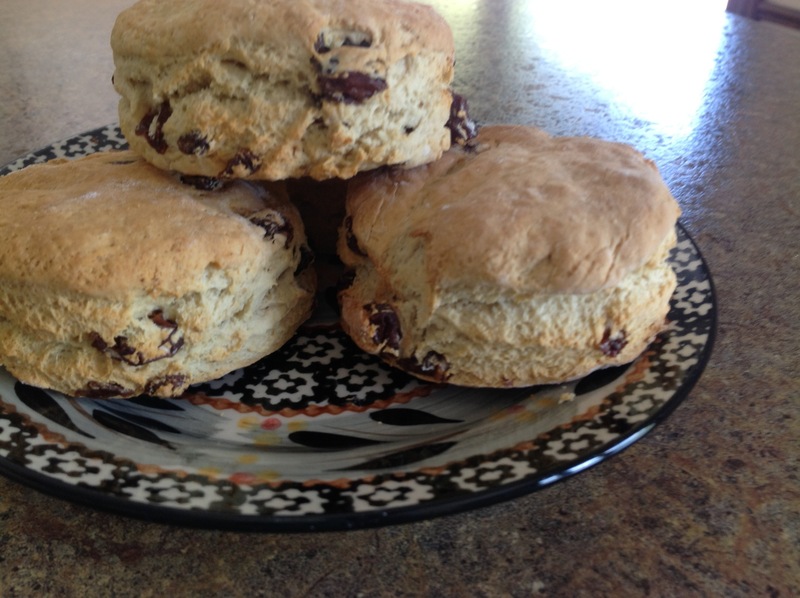 During the Lenten season, Mom would make several batches as we would have scones and tea for Friday dinner. These days, I regularly make scones for my family. I, too, can make them without the recipe but I use a biscuit cutter to uniformly cut the soft dough into circular shapes. We often top the baked scones with homemade strawberry-rhubarb jam. (Although, J and M prefer to top them with gobs of peanut butter.) After removing a batch from the oven, it isn’t long before they’ve all been eaten and everyone is asking for more. A blessed Lent to you! 🙂 Thanks for visiting my blog; you have a tremendous blog that I am now following.